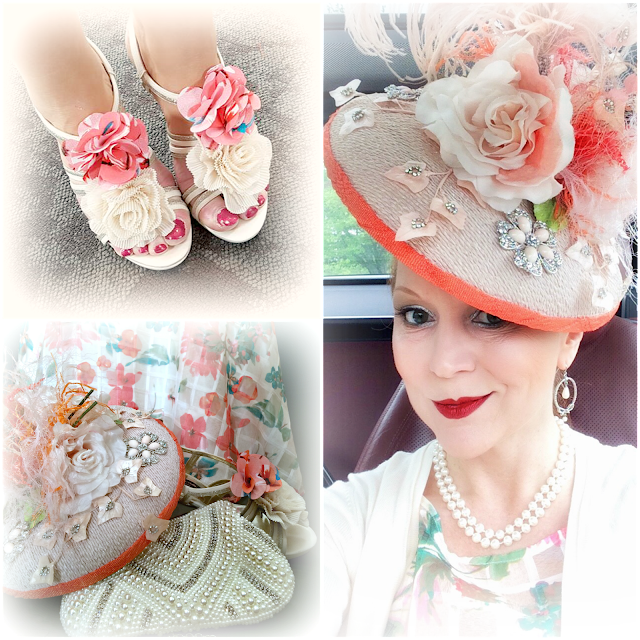 Spring may be struggling to bloom in central Indiana this year, but you'd never know it from my Hats Off ensemble, designed around this one of a kind chapeau from milliner Loreta Corsetti; The fabric flowers on my champagne satin Nina sandals are actually hair clips - a simple, inexpensive, and temporary way to add panache and coordinate a look from head to toe. 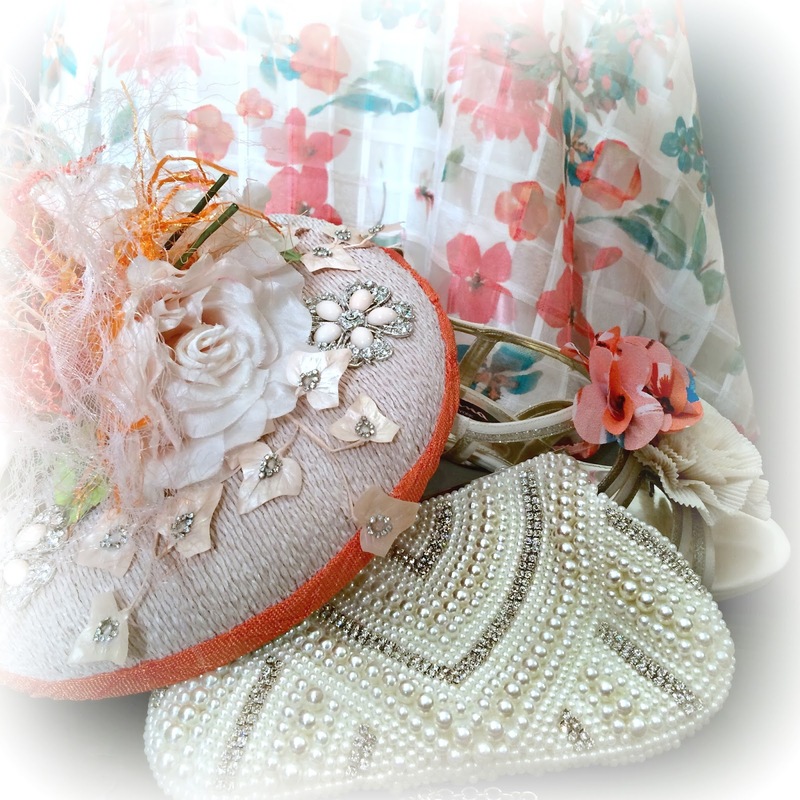 "Friends are flowers in the garden of life." I'm not sure who first coined the phrase, but I certainly agree with it, and the friendships I've cultivated through the Indianapolis Museum of Art's Fashion Arts Society are some of the brightest blooms in my garden. Though I've owned it for more than a year, you can still find my floral Julian Taylor dress on Amazon; The fabulous and stylish women flanking me (as well as in the last photo, below) are definitely flowers in my garden of life, and I'm fortunate to count these fellow Fashion Arts Society members among my dear friends. The Fashion Arts Society is the art museum's fastest growing affiliate group, and its members all share an appreciation for clothing design as art, as well as a commitment to helping the museum grow its significant textile collection. 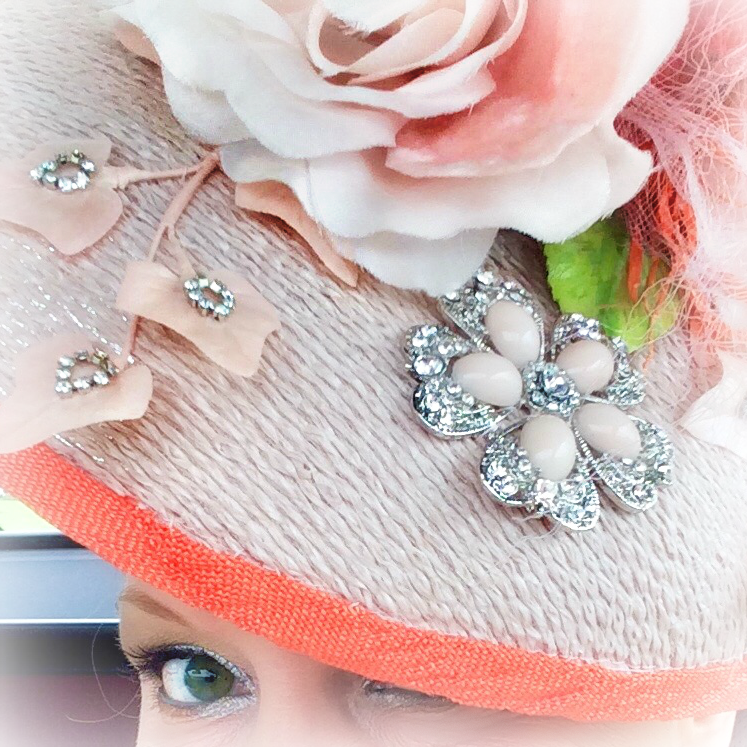 I'm all about details - always - and those on this Loreta Corsetti hat are exquisite. 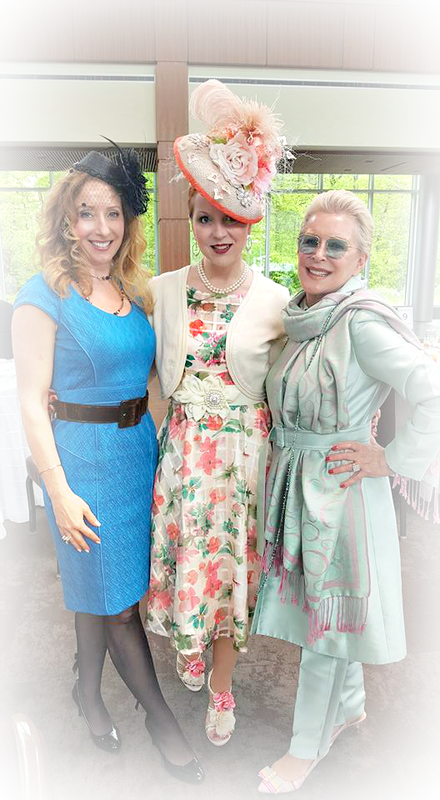 The organization hosts several social and educational opportunities throughout the year, giving its eclectic membership a chance to forge meaningful connections with roots much deeper than a shared passion for fashion. Indeed, though I knew only one other member of the group when I joined, in the past three years I've developed several personal friendships with individuals I'd never have met otherwise. 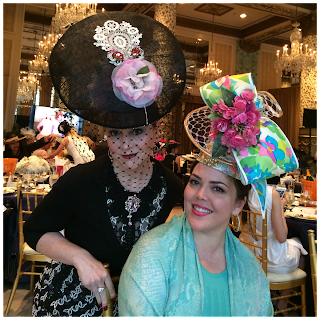 My first introduction to the Fashion Arts Society was through its "Hats Off" luncheon, an event held annually in early May. This year's event, as in past years, did not disappoint. 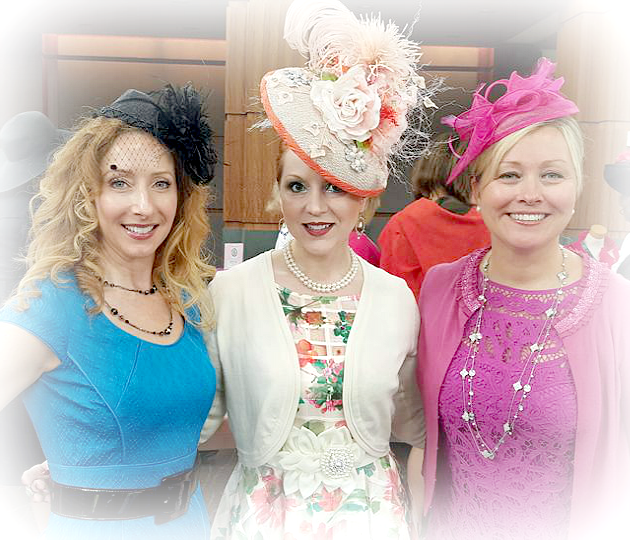 Far more than yet another opportunity to sport a favorite Spring dress and chapeau (though always enjoyed), the well-attended soiree was the perfect opportunity to see old friends and introduce new ones to the organization, all while raising funds to support the museum's acquisition of historic fashions. 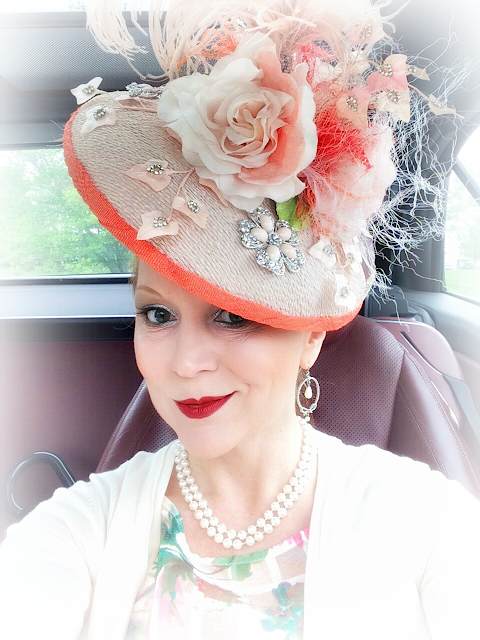 If you're in Central Indiana and the Fashion Arts Society sounds like an organization you'd like to join, I'd love to introduce you, too!